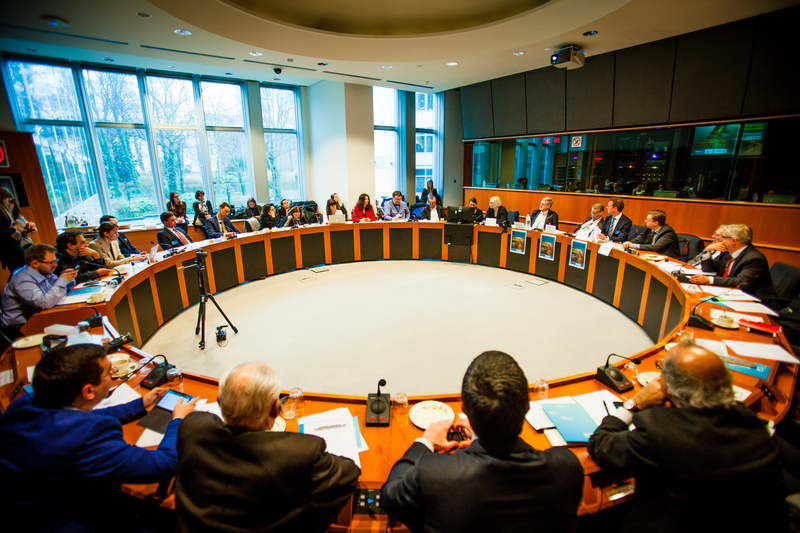 HRWF (08.02.2017) – “The European Commission should urgently consider a reform of the European Arrest Warrant (EAW) as for years its implementation has been tarnished by numerous flaws,” a number of experts said during an event at the European Parliament hosted yesterday by MEP Hannu Takkula (Watch the Opening speech here) with the collaboration of Human Rights Without Frontiers. Throughout the session, the speakers highlighted the precarious and important future of the EAW as the EU transforms in the coming years. Across the board, the experts paid particular attention towards the pivotal role of human rights in regards to the success of this international tool of justice. Jago Russell: “I want to support the EU in creating a strong and effective mechanism to fight against cross-border crime and terrorism. The EAW has a crucial role to play in this regard but the EU must have the courage to look at the EAW because if it closes its eyes to the way it is undermining human rights, it will give antra-ammunition to those who criticize it.” (Watch his full presentation here). A number of concrete cases pointing at dramatic flaws were mentioned with regard to France, Germany, Italy, Lithuania, Poland, Romania, UK. Willy Fautré: “The huge demonstrations in the last two weeks in Romania have clearly shown that the people do not believe in a democratic rule of law in their country. Neither does the European Court. In 2015 alone, the ECtHR delivered 72 judgments (each citing at least one violation) against Romania, the highest number of any EU member state. Among the 47 member states of the Council of Europe, Romania ranked the third highest human rights abuser after the Russian Federation (109 judgments) and Turkey (79 judgments). Worryingly, 27 of those violations in Romania were for inhumane or degrading treatment (Article 3), with many relating to the appalling conditions and treatment in Romanian prisons. In 13 cases, the violations were due to the lack of effective investigation and in 13 other cases to the lack of a fair trial. There was a echoing conclusion regarding the necessity of the European Commission to come out of its long silence and passivity, and to urgently reform the EAW, as requested by Fair Trials.